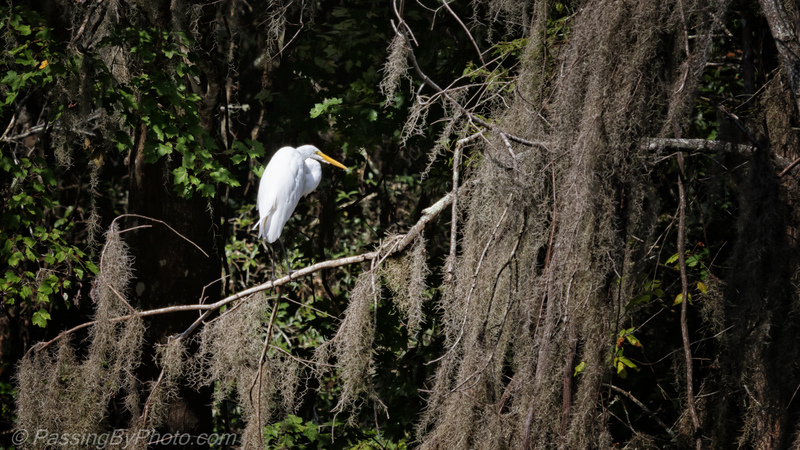 The pristine white, at least from a distance, Great Egret catches your eye with the Spanish Moss backdrop. 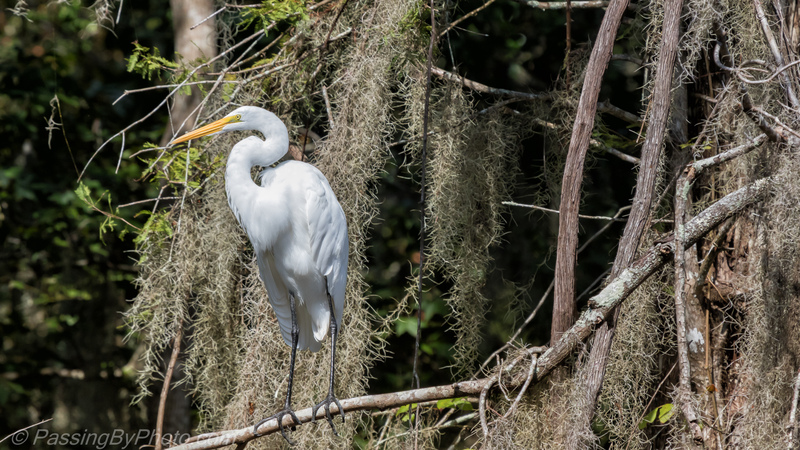 With this year’s breeding season well behind us a few of the wading birds have settled in around the ponds near the swamp. They are not as aggressive to each other as when they are nesting but they clearly prefer to be alone. Love the way they can hold their necks in varying positions. Wonderful photos! Showing off their flex-o-necks. Thank you! The composition and detail is excellent! He picked a great spot to land. Thank you, Belinda.